Since he joined The Tokyo Ballet in 1980, Munetaka Iida has danced roles of wide variety. In 1983 he danced Maurice Béjart's "CHANT DU COMPAGNON ERRANT", with Shiro Mizoshita, moving the audience with profoundness and subtle expression. In 1984 he was chosen for the leading role of "PLAY BACH", and his vigorous dancing received accolades from its choreographer, Claude Bessy. In Béjart's "THE KABUKI," he danced the two major roles 'Sadakuro' and 'Morono' for which he was highly acclaimed. The role 'Sadakuro' was imagined and created by Béjart with special attachment to Iida's character. During the European tour with The Tokyo Ballet in the autumn of 1993, Iida danced 'IV－Shi (Death)' of "M", and was highly praised by Béjart as well as the public. June 1994, Iida performed "PERFECT CONCEPTION" in its premiere and was praised, "Munetaka Iida's presence is precious in this ballet". He also danced it at St. Florent Festival in Angers, France in July of the same year. His repertoire also includes 'Pierrot' and 'Czardas' of "SWAN LAKE", the 'cat in boots' and 'Cattalabutte' of "THE SLEEPING BEAUTY", 'Sancho Panza' of "DON QUIXOTE" , 'Madge' in "LA SYLPHIDE", the 'solo' in "TAM-TAM ET PERCUSSION", 'Partisan' in "L'OISEAU DE FEU", all of which he dances with his unique taste and character. 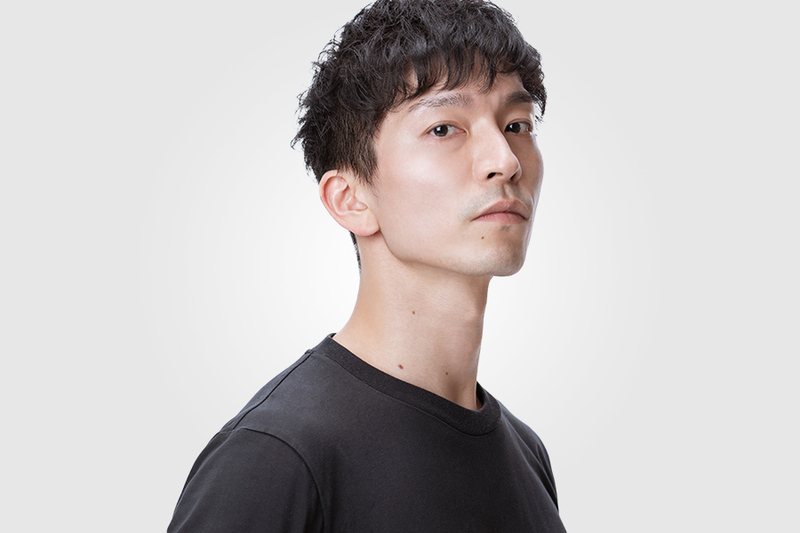 He has been teacher and ballet master since 1994, and became Artistic Director of the Tokyo Ballet in fall 2004. Yukari Saito was born in Yokohama. She took her first ballet lessons from her mother, also a professional dancer. From the age of 16, she frequently visited Moscow and was fortunate enough to take lessons from Asaf Messerer and Marina Semyonova at the Bolshoi Theatre. After gaining stage experience both within and outside of Japan, she joined the Tokyo Ballet in 1987. While touring Europe with the Tokyo Ballet in 1988, she was chosen to dance the role of 'Lady Kaoyo', the heroine of Béjart's "THE KABUKI", and greatly impressed dance critics throughout Europe. In "Béjart's Ballet Gala" also held in 1988, she performed "BUGAKU" with dancers of the Béjart Ballet at Béjart's request. Her distinguished lyrical expression inspired the creation of the American Choreographer, John Neumeier's "SEVEN HAIKU OF THE MOON", which premiered in 1989. During the Tokyo Ballet's Russia tour in 1992, she danced the leading role in "LA SYLPHIDE" at the Bolshoi Theatre, the Maryinsky Theatre, and the Kiev National Shevchenko Theatre, receiving the highest praise that Russian critics could offer by being called the "Japanese Marie Taglioni". In Autumn 1999, she performed as the leading dancer of "CARMEN" choreographed by Alberto Alonso. Since then, she has been chosen to dance important roles at both world-premiere and the Tokyo Ballet's premiere performances of many outstanding choreographers such as Neumeier's "SEASONS-THE COLORS OF TIME" (2000) and "SPRING AND FALL" (2000), Béjart's "BHAKTI III" (2000), Vladimir Vasiliev's "Don Quixote" (2001), John Neumeier's "DIE KAMELIENDAME" (2004), "LA SYLPHIDE" (2004), Frederick Ashton's "THE DREAM" (2005), and 'Fleur des Champs' in Pierre Lacotte's "LA FILLE DU DANUBE" (2006). She also danced with many exceptional principal dancers, such as with Farukh Ruzimatov of the Mariinsky Ballet in "BAYADERKA" at "The World Ballet Festival" in 1991, with Sergei I. Filln at "The World Ballet Festival" in 2000, with Vladimir Malakhov in "GISELLE" in 2004, with Mathieu Ganio of the Paris Opera Ballet in "LA SYLPHIDE" in 2005, with Sergei Filin of the Bolshoi Ballet in "GISELLE" in 2006, with Friedemann Vogel of the Stuttgart Ballet in "GISELLE" in 2007. She was chosen to dance "DON QUIXOTE" at Ekaterina Maksimova's sixty-fifth birthday commemorative performance held at the Kremlin Palace of Congresses in Moscow in February 2004. She also appeared at the memorial performance celebrating the thirtieth anniversary of the joint Soviet-Japanese film, "Moscow, Mon Amour", dancing Pas de Deux of "Giselle." Saito's repertoire includes full-length classical ballets such as "LA SYLPHIDE", "THE NUTCRACKER", "SWAN LAKE", "THE SLEEPING BEAUTY", "GISELLE", and "DON QUIXOTE", as well as neoclassical works such as George Balanchine's "LE PALAIS DE CRISTAL", "THEME AND VARIATIONS", and Maurice Béjart's "L'OISEAU DE FEU" and "DON GIOVANNI". 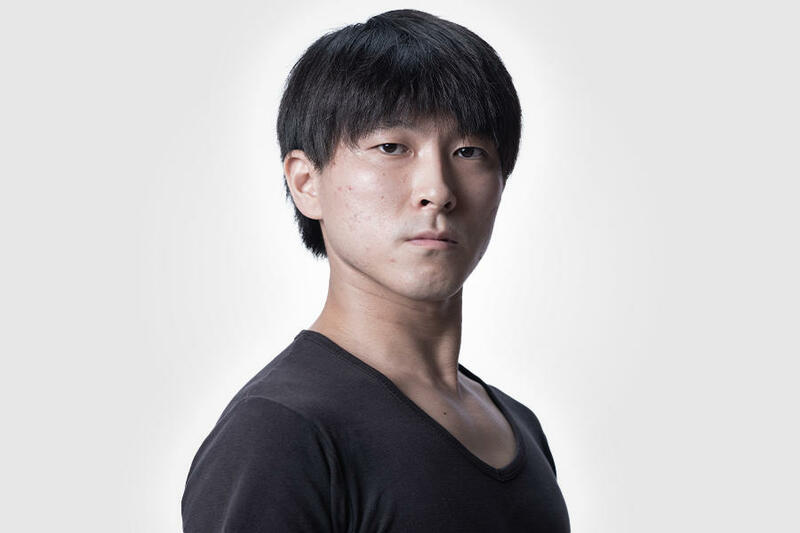 Besides working with The Tokyo Ballet, Saito has been highly acclaimed as a guest artist. By way of examples, she performed "GISELLE" at various theatres in Russia. In the production of "ANYUTA", choreographed by Vladimir Vasiliev, she rehearsed with Ekaterina Maksimova, the originator of the role, and made guest appearances with many Russian ballet companies. She is highly respected internationally as a dramatic prima ballerina. She wrote her first essay expressing her history as a dancer, as a woman and as a mother, which was published from Sekai Bunka Publishing Inc. in 2002. In 2004, she was awarded "Art Encouragement Prize*" from the Agency of Cultural Affairs. In celebration of her reception of this prize, the Tokyo Ballet held a commemorate performance in August of 2005 featuring Saito herself in her three favorite roles from her repertoire as "LA SYLPHIDE," "CARMEN," and "DIE KAMELIENDAME." *Art Encouragement Prizes is presented to those whose outstanding achievements have opened up new vistas in a given year. They are awarded in 10 fields: drama, film, music, dance, literature, fine arts, classical arts, broadcasting, popular entertainment, and criticism. Born in Kumamoto, Kazuo Kimura began his ballet studies at the age of 8. He joined The Tokyo Ballet in 1984. For the premiere performance of Neumeier's "SEVEN HAIKU OF THE MOON" in 1989, Kimura was chosen by the choreographer to make his leading-role debut at the age of 19. He has since danced leading roles in such ballets as, "THE NUTCRACKER," "SWAN LAKE"; Lacotte's "LA SYLPHIDE," Balanchine's "THEME AND VARIATIONS", "LE PALAIS DE CRISTAL", and "BALLET IMPERIAL"; Béjart's "L'OISEAU DE FEU", "BHAKTI", "MANDARINE MERVEILLEUX"; Blaska's "TAM-TAM ET PERCUSSION"; Kylián's "STEPPING STONES", "SYMPHONY IN D" and "DREAMTIME"; the 'Mazurka' and 'Adage' of Lifar's "SUITE EN BLANC", Alonso's"CARMEN," Fokine's "LE SPECTRE DE LA ROSE," "LES SYLPHIDES," Lander's "ETUDES," among others. 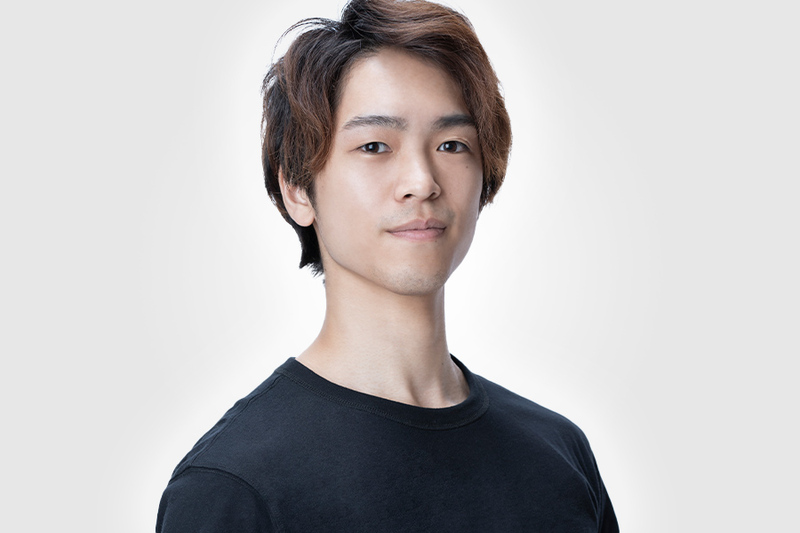 He has also danced other important roles such as 'Blue Bird' and 'Four Princes' in "THE SLEEPING BEAUTY", 'Hilarion' in "GISELLE", 'Rothbart' and 'Pas de trois' in "SWAN LAKE", 'Pas de deux' in "LA SYLPHIDE", 'Morono' in Béjart's "THE KABUKI", 'Deux chefs' in "LE SACRE DU PRINTEMPS", 'L'ami' in "PETROUCHKA", 'Grand pas de deux' and 'Paris' in "CASSE-NOISETTE", and in "BOLERO". Mr. Kimura created the role of 'Rikiya', who is Yuranosuke's son in Béjart's "THE KABUKI" in 1986, 'III－san' (one of Yukio Mishima's alter egos) in Béjart's "M" in 1993, and 'Time' in Neumeier's "SEASONS - the colors of time" in 2000. Mr. Kimura also danced 'Basilio' and 'Espada' in the premiere of "DON QUIXOTE" of Vassiliev's version in 2001. In 2005, he danced the role of 'Oberon' in the Tokyo Ballet premiere of Ashton's "THE DREAM"" and in 2006, he danced 'Rudolf' in Pierre Lacotte's "La Fille du Danube." Born in Kanagawa, Mizuka Ueno began her ballet studies at the age of 5. In 1989, she won the first prize at the Japan dance competition in Saitama. Having won the Prix du Lausanne Scholarship in 1993, she entered the Academy du Danse Classique Princess Grace in Monaco. Upon graduation from the school at the top of the class, she joined Asami Maki Ballet in Tokyo in 1995. Ms. Ueno received the gold medal at the World Ballet and Modern Dance Competition in 1996. In February 1999, she danced in the gala performances "Roland Petit and stars" in Mexico. She made her debut as Odette/Odile in "SWAN LAKE" in July 1999, and danced the role again in March, 2000. She created the soloist role in Roland Petit's "DUKE ELLINGTON BALLET" in July 2001, danced 'Kitri' in "DON QUIXOTE" in March 2002, and 'Esmeralda' in Petit's "NOTRE DAME DE PARIS" with the Ballet of the Teatro alla Scala in Milan. She has also danced in "DUKE ELLINGTON BALLET" as a guest with the Ballet of Teatro San Carlo in Naples. She was awarded the Recommended Artists Prize in the category of "New artist of 2001" by the Minister of Education and Culture of Japan, Einosuke Nakagawa Prize by Tokyo Shimbun (newspaper). In February 2003, she danced the role of 'Juliet' in "ROMEO AND JULIET", 'Esmeralda' in "NOTRE DAME DE PARIS" in August, and made her debut as 'Princess Aurora' in "SLEEPING BEAUTY" in October. 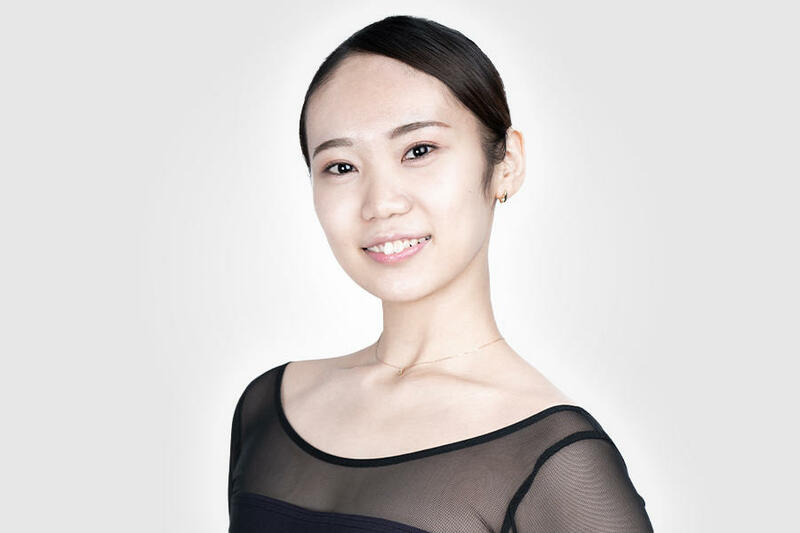 In 2004, Ms. Ueno left Asami Maki Ballet in February and joined the Tokyo Ballet in March. With the Tokyo Ballet, her repertory includes, 'Kitri' in "DON QUIXOTE," 'Princess Aurora' and the 'Lilac Fairy' in "SLEEPING BEAUTY," 'Clara' in "THE NUTCRACKER," 'Odette/Odile' in "SWAN LAKE," the 'Lucile Grahn role' in "PAS DE QUATRE," soloist role in Balanchine's "THEME AND VARIATIONS" and "BALLET IMPERIAL," 'Étoile' in "ÉTUDES," as well as many leading roles in Maurice Béjart's ballets, including 'meolody' in "BOLÉRO," 'Shakti' in "BHAKTI III," 'Rose' in "M," 'young girl' in "LE SACRE DU PRINTEMPS," and the 3rd Variation in "DON GIOVANNI." In 2004, she danced 'Odette/Odile' in "SWAN LAKE" opposite Vladimir Malakhov. In 2005, she danced the role of 'Titania' in the Tokyo Ballet premiere of Ashton's "THE DREAM." In 2007, she was invited to Corpo di Ballo del Teatro alla Scala's "DON QUIXOTE" to dance 'Kitri' opposite Leonid Sarafanov during the company's Japan tour, and also invited to dance "BHAKTI III" at Teatro Municipal de Santiago's 150 year anniversary Gala. Mika Yoshioka was born in Matsuyama. Having studied abroad in Moscow and St. Gallen in Switzerland, she joined The Tokyo Ballet in 1989. In 1993, Ms. Yoshioka made her debut as 'Lady Kaoyo', heroine in Béjart's "THE KABUKI" and was promoted to principal dancer. She has since danced almost all leading roles of the company's repertoire, including 'Odette/Odile' in "SWAN LAKE", 'Princess Aurora' in "THE SLEEPING BEUATY", the title role in "GISELLE", Lacotte's "LA SYLPHIDE", 'Kitri' in"DON QUIXOTE" (Vassiliev's version in 2001), 'Etoile' in Balanchine's "THEME AND VARIATIONS" and "BALLET IMPERIAL," the 'Marie Taglioni role' in "PAS DE QUATRE," 'Etoile' in LANDER'S "ETUDES," 'la Jeune Fille' in Fokine's "LE SPECTRE DE LA ROSE," 'cigarette' and 'adage' in Lifar's "SUITE EN BLANC", Kylián's "STEPPING STONES", "SYMPHONY IN D" and "DREAMTIME," as well as roles in many of Béjart's ballets, including 'la mère' in "CASSE-NOISETTE", 'L'Élue' in "LE SACRE DU PRINTEMPS," "L'OISEAU DE FEU", "DON GIOVANNI", "BHAKTI", "DANSES GRECQUES." She has danced Odette/Odile, Princess Aurora, Giselle with Vladimir Malakhov in 1997, 1998, 2004, and 2006. In 2005, she danced the title role of Lacotte's "LA SYLPHIDE" with Mathieu Ganio of the Paris Opera Ballet. In 2007, she danced "GISELLE" with Fridemann Vogel of the Stuttgart Ballet, and "LE SPECTRE DE LA ROSE" opposite Mathias Heymann of the Paris Opera Ballet. 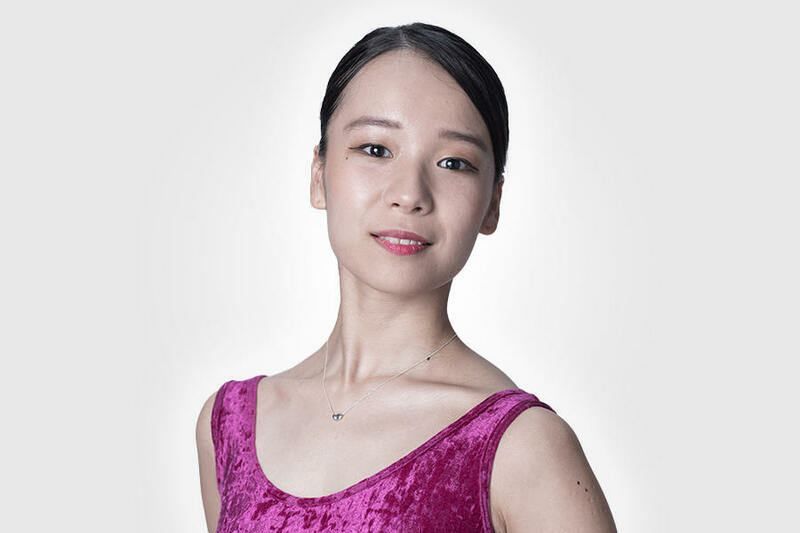 Ms. Yoshioka created 'la femme' in Béjart's "M" in 1993, Kylián's "PERFECT CONCEPTION" in 1994, and 'Spring' and 'Summer' in Neumeier's "SEASONS - THE COLORS OF TIME" in 2000. She also danced 'Titania' in the Tokyo Ballet premiere of Ashton's "THE DREAM" in 2005 and 'Fleur des Champs' in Lacotte's "LA FILLE DU DANUBE " in 2006. She was invited to St-Florent Festival in Angèrs, France, to dance "PERFECT CONCEPTION" in July 1994, to the Staatsballett Berlin to dance 'Princess Aurora' in "SLEEPING BEAUTY" opposite Vladimir Malkhov in 2006, and to "Malkhov and Friends" at Deutsche Oper Berlin to dance "SPRING AND FALL" and the pas de deux from "LA SYLPHIDE"" in 2007. Copyright©2019 The TokyoBallet Plus Inc.All Right Reserved.